Good communication is essential for any small business. You want affordable, high-quality phone systems, but traditional phone service get costly. Why not consider going digital? Check out these six benefits of Voice Over Internet Protocol (VOIP) that are leading wise business owners to make the switch to voip calls. Making the switch could help you improve your business as you add features, while reducing the overall cost. Sound is converted into digital packets with this modern technology. It has continued to advance so that its present call quality is comparable to traditional telephone services. You can transmit both data and voices over the most modern Internet service. These unified communications allow companies to have a bundled, comprehensive solution. There is no reason to purchase different services from different companies. Cutting-edge VOIP systems also offer presence information, video conferencing and email fax features. Modern communications scalability grows as your business grows. Unlike the traditional telephone connection, the IP phone has a higher level of security. These digital connections include encryption protocols, which will keep your data and calls confidential. Business owners can use their IP smartphone to reach their employees anywhere. This is particularly useful in the fast-paced, modern business realm. Your customers expect immediate responses. Each small business can be more responsive to its customers’ needs. You can transfer calls without forcing customers to call another number. Improved customer service is possible due to VOIP portability. With the right calling plan, a small business can pre-program frequently asked questions (FAQs) to help after office hours. Fortunately or not, the Internet has increased customer expectations for a business being always open. Of course, that is not feasible for a physical storefront. Automated assistance allows you to provide superior customer service around-the-clock. And, you can stay within your budget. The Internet is the wave of the future. Telecommunications companies no longer have any incentive to string up analog cables for traditional phone systems. High speed Internet connection lines have been laid down, so the digital infrastructure is in place. People can surf the Web for free. Now, these lower communication costs are enabling companies to save money. Isn’t it time to tap into these modern telecommunications systems to improve your bottom line? Add features, cut costs. Already, your competitors might have made the switch. Cheaper products and higher quality service can make your business stand out. 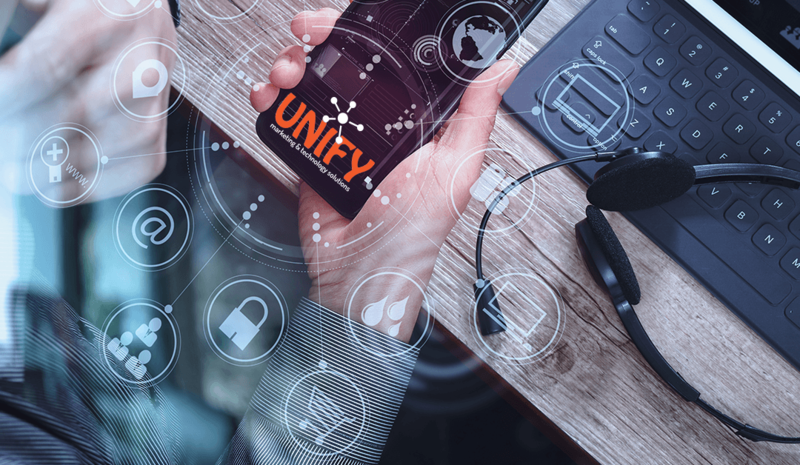 If you need help making the switch to voip phones, then contact UNIFY marketing & technology solutions. We, at UNIFYmts, look forward to helping you grow your business using our VOIP solutions.